This is a comprehensive guide on how you can open a Basic Savings Account with EastWest Bank in the Philippines. I’ve been using the bank for quite a few years now and their services have always been topnotch. There’s really nothing to complain about. One thing I like about EastWest is that you usually don’t have to deal with long lines when you visit one of their branches for your transactions. And last but not the least, opening a savings account with the bank is great for Filipino online freelancers who get paid via PayPal. You can connect your account with PayPal for an easy and hassle-free transfer of funds. 1. Valid ID - The bank prefers government-issued IDs like Voter’s ID, Postal ID, SSS ID, GSIS ID, etc. Try to bring at least two of these IDs to make sure that one will be honoured. 2. 1x1 or 2x2 ID pictures – Bring you at least two copies of each ID pictures. 3. Proof of billing – This could be a utility bill like a water bill or an electricity bill. Just make sure that the name in the bill is similar to the name in the IDs that you presented. 4. TIN number – This is the tax identification number provided to you by the Bureau of Internal Revenue (BIR). 1. It requires a very minimal initial deposit. The initial deposit is only 100 pesos. That’s right. 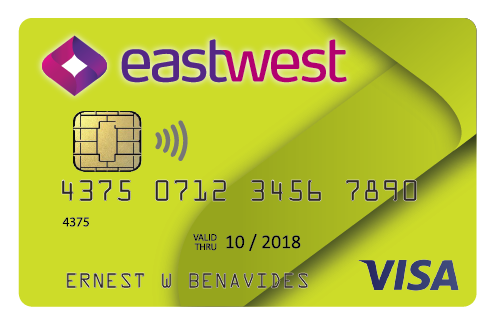 You can open a savings account with EastWest with only 100 pesos. 2. The maintaining balance is only at 100 pesos. Not many banks in the Philippines offer this feature. 3. Your savings will earn interest at 0.125% per annum as long as the balance in your account is 500 pesos or higher. 4. Your savings account is evidenced by a debit card. 6. Over-the-counter transaction fees are very low. You only pay 100 pesos for withdrawals and fund transfers. 1. Make sure that you have all the requirements. I repeat, the requirements are as follows: Valid ID, proof of billing, 1x1 or 2x2 ID pictures, and TIN number form the BIR. You should make Zerox copies of your IDs and proof of billing because the bank branch might look for photocopies. Gather all of these documents and put them in a folder. 2. Go to the nearest branch of EastWest Bank in your area. You can find a list of all EastWest Bank branches in the Philippines here. Inform the security guard or any bank officer that you want to open a Basic Savings Account. The guard or the officer will inform you on what to do next or which counter you should go to. 3. You will be given an application form which you need to completely fill up as honestly as possible. Make sure to double check all the information you provided before you turn it over to the bank officer. 4. The bank officer will look into your application form, check your documents, and if these are complete, he will start processing your account. This can take between 30 minutes to an hour. 5. When the bank officer finishes processing your application, he will then inform you on the date on which you can go back to the bank and claim your brand new debit and ATM card which comes with your savings account. This is usually within a week. 6. Wait for the scheduled date then go back to the bank to claim your card. Don’t forget to bring a valid ID with you when you claim your card. That’s basically it. That’s how you open a Basic Savings Bank Account with EastWest. If you have further questions, it’s advisable that you contact the bank’s customer support line. Visit their website and look for their contact details.